As you know, Facebook is the best free tool to build a brand, be it personal or company brand. Else, it will be a great opportunity lost in leveraging the world’s most powerful social media. Mind it, Facebook is used by more than half of the world’s online population and has an average 1.5 billion monthly users. You know, on every five minutes, a smartphone user is updating his Facebook. So, the ROI from investing on Facebook ads is humongous; for every $100 invested in Facebook, the yield will be 2000 views; 27 likes, and 6 clicks. But Facebook has to be handled with care for reaping such smart gains. Good news is –if managed well, your personal page will get lots of attention. The opposite will be the result, if used without tact. There are many Facebook advertising tips that can maximize your reach, likes, and interactions. Let us discuss some of them. A Facebook page must look serious and reflect a brand, business or whatever it promotes. That is why, it is most important to avoid postings that should not be seen by co-workers, customers, or suppliers. In short, no FB post must evoke shame and derision so that no potential followers are alienated. Better not post stuff that celebrates personal weaknesses such as partying, drinking, or vulgar jokes. Set the settings right, so that posts are publicly visible and adjust settings to avoid unwanted tagging to control others from tagging their obscenities. Create more friends by approving requests from real people while declining requests from fake accounts. 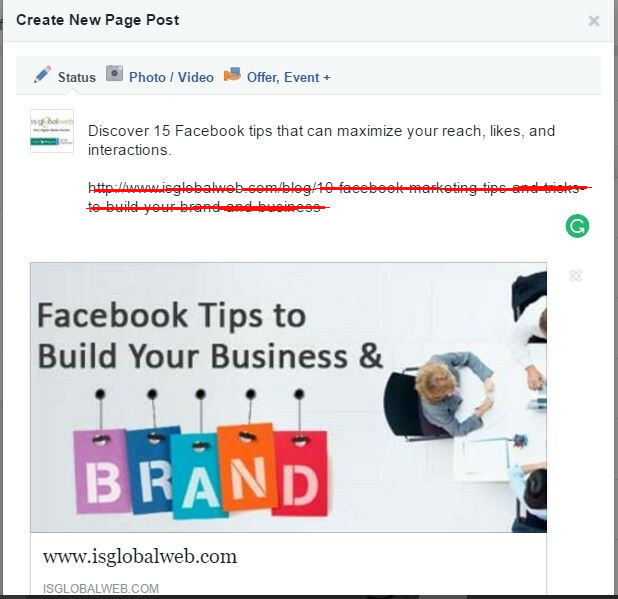 Try to like as many posts as possible to boost your FB presence and more future posts will come to your screen. Passing by a post without clicking like will mean that person’s posts are not liked by you and FB will not show them to you in future. Let not express political views in FB pages. Use closed groups within Facebook to discuss politics. That will not embarrass people with different political views. Use tagging fairly. Tagging people in pictures increase viewership and do not tag people indiscriminately in posts when they have nothing to do with them. Keep your copy concise by removing the dreadfully long URL from the text in your post. Maintain an impressive profile picture that represents the brand and can trigger a fair conversation. Try to like every comment that lands on your posts. If a person is taking his time to write a comment, acknowledge it and ensure an interaction and reward him/her properly. Certainly, that will enhance interactions and Facebook will show them. That will also accentuate the goal of getting as many likes and comments. Make it a point to wish every friend “happy birthday” in FB as it promotes interaction and good will. Be picture perfect. Never make a dry text-only post. Keep adding picture posts to seek more attention from the viewers and Facebook. You should add Facebook social media buttons to your blog post and website so that users can easily share your blog post on social media and boost post engagement and reach. Only use images that have right dimensions and sizes for Facebook. 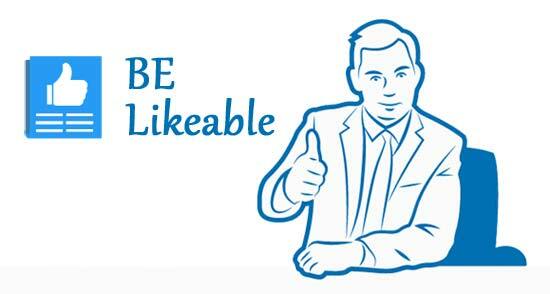 It will improve your Facebook page’s user experience. You should A/B test your ads and audiences, to find out which version of your ad performs better for which audience. Different case studies point to different ideal days and times for posting on Facebook. The result mainly depends on the kind of users your business attracts. 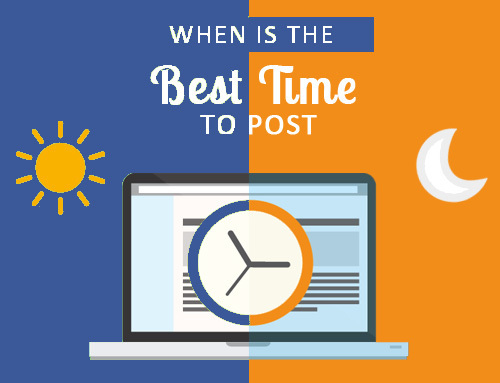 So, you should figure out your best times and days to post by doing trial and error testing. If you are advertising on Facebook, construct your Facebook promotion strategy using above mentioned Facebook marketing ideas to build followers, engage audiences and boost conversions.